The Urban Redevelopment Authority (URA), in charge of planning the future landscape of Singapore, has already designated 700km of bike paths and bike friendly lanes by 2020-ish. This ambitious development plan could radically change how people in Singapore, tourists included commute and get around. 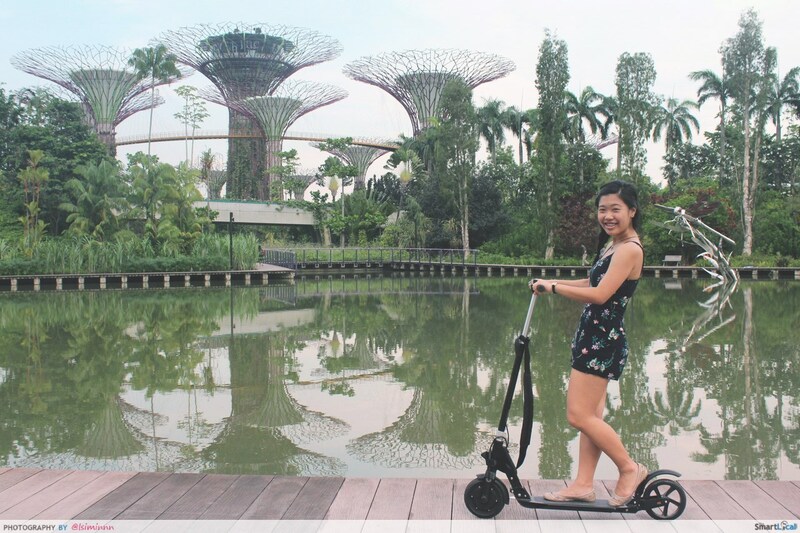 Some bloggers in Singapore recently took a MYWAY and an E-TWOW for a spin around town to see how easy it would be to visit the major attractions here in Singapore. Their scootering adventure consisted of visiting the 10 most iconic attractions around the city area purely using e-scooters, showing how easy it was to get around town. This opens up a whole new world of possibilities for tourists on self-guided tours. In fact, Betelbox Backpackers hostel is one of the pioneers in arranging scooter tours for their guests on xootrs, organizing scooter tours for the last 5 years and the response has been overwhelmingly good. Read more about TheSmartLocal.com’s experience scooting around their home city here.